Containing hundreds of different species, artemisia plants include German tarragon, French tarragon, Dragon wormwood, St. John’s plant, Dragonwort, mugwort, Dragon mugwort, wormwood and southernwood. Artemisia herbs in dry climates and produce leaves that resemble ferns. Lauded for their volatile oils, some artemisia grows perennially and reaches heights of up to four feet. With fragrant, hair like leaves and abundant flowers, some artemisia varieties, such as southernwood, are a popular plant for ornamental gardens. It can be prepared in a powdered form, as a tincture, an infusion or an extract. Perhaps the most common methods of consummation are as a tea or as a pill (commonly used to exterminate intestinal worms and parasites). It can also be applied topically for insect bites and to help support wound healing. It is commonly used for the treatment of malaria and other fevers. 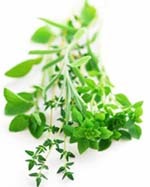 Tarragon, specifically, is very fragrant herb celebrated for its sweet flavor. Fresh tarragon leaves are often used as spices and seasonings while cooking. Wormwood and mugwort are also useful tonics to treat stomach upsets and to aid in digestion. Taken in large doses, it can be poisonous and produce stomach upsets, including intestinal cramping, nausea and vomiting. Central nervous system reactions can also occur, which produce dizziness and headaches. It also contains absinthe, which is a common ingredient in alcoholic beverages and can cause addiction, hallucinations and seizures. Should only be considered for very short-term use and should only be taken while under the supervision of a professionally trained herbalist. New herbal practitioners and laypersons are strongly advised not to use these herbs on their own. As useful as they can be for natural cures and home remedies, artemisia and similar herbs can sometimes reduce the effectiveness of other medications or not interact well with their chemical components. Therefore, it is important that anyone under a doctor’s care for treatment of a serious illness discuss the use of artemisia or other herbs before beginning their use.